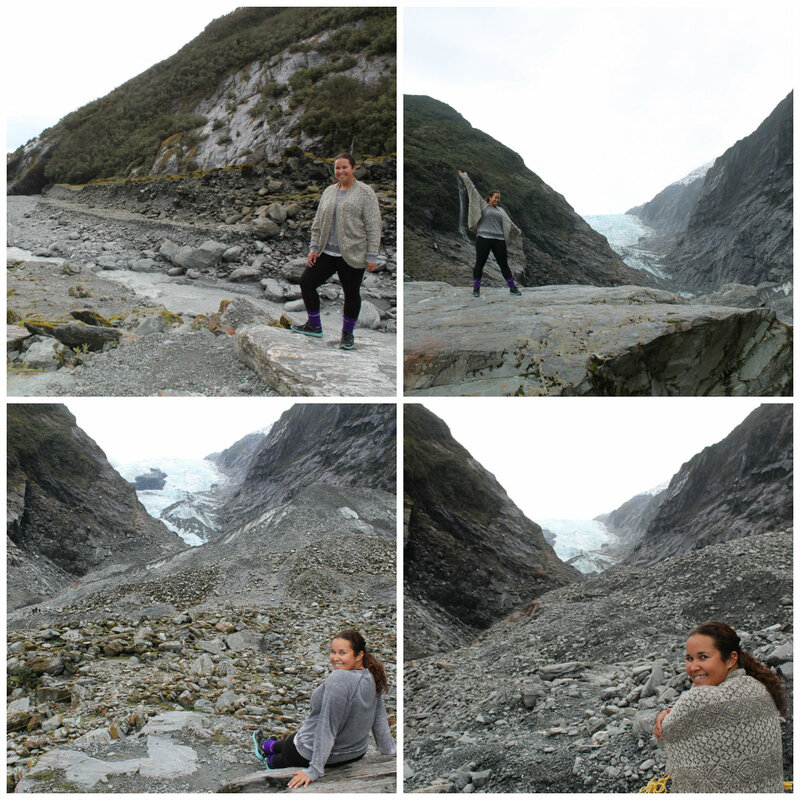 Waking up in the small town of Franz Josef at the base of Franz Josef Glacier was beyond words. When I first exited the lodge in the morning, I was left speechless while looking at the fresh snow capped mountain range in front of me. The gigantic mountains in the Westlands towered over the Rainforest Retreat. Apparently, it had been 6 months since the locals saw the mountain peaks with snow on them. I was told that winter is near. I arrived just in time. Glacier Country on New Zealand’s west coast truly is everything people claim it to be. It is in this area where people start falling in love with New Zealand. It is in this national park when people declare New Zealand their favorite country. To put this theory to the test, the first thing I did was hike the Franz Josef Glacier Valley Walk in the riverbed at the base of the glacier. The trek to the viewpoint of the glacier terminal face was everything I hoped it would be. The nearer I got to the glacier, the more magnificent it looked. Although the glacier is melting and retreating at a rapid pace, the view left me standing at the base of it in awe of its magnitude. Scientists hypothesize that Franz Josef will vanish in 20 years, unlike Fox Glacier which is actually growing in size due to yearly snow fall. I’m blessed to have been able to see it before it potentially disappears. The sub-alpine terrain in the rainforest surrounding the glacier was well worth the walk on its own. Where else in the world can you be in the rainforest while seeing mountains, glaciers, and walking on the floor of a glacier valley? The Wetlands Tai Poutini National Park is the place to be with panoramic views of lagoons, pools, creeks, rivers, glaciers, oceans, and alps. Not only that, but the Franz Josef (Waiau) region is also one of a kind because New Zealand’s rarest kiwi lives in the Okarito Forest near Franz Josef. The rowi kiwi will only be found in this region. Seeing a kiwi for the first time was a unique experience, even for those how live in New Zealand. The West Coast Wild Life Center in partnership with the Department of Conservation funds programs to breed and incubate the rare and protected rowi kiwi, one of the rarest birds in the world. The center’s captive incubation and rearing programs for the endangered rowi and hasst tokoeka help save them from extinction, while fighting for their survival. The specialist husbandry care helps to reintroduce more rowi and hasst tokoeka into the wild with only 400 of each bird remaining in the wild. Only 5% of hatched kiwis will survive to adulthood due to predation by stoats. The 1kg chicks released from the wildlife center have a 70% chance of survival. “BNZ Operation Nest EggTM involves removing eggs from the risk of predation, hatching them in captivity, and placing the chicks in a predator-free environment until they are big enough to fend for themselves. They are then returned to the wild.” The 7 month old kiwis I saw at the center were nearing their time to be released to a predator-free environment on Motuara Island. Once they grow large enough they will be returned to the Okarito Kiwi Zone to eventually breed when they are adults (while still being monitored). The intricate process to increase the rowi population fascinated me. 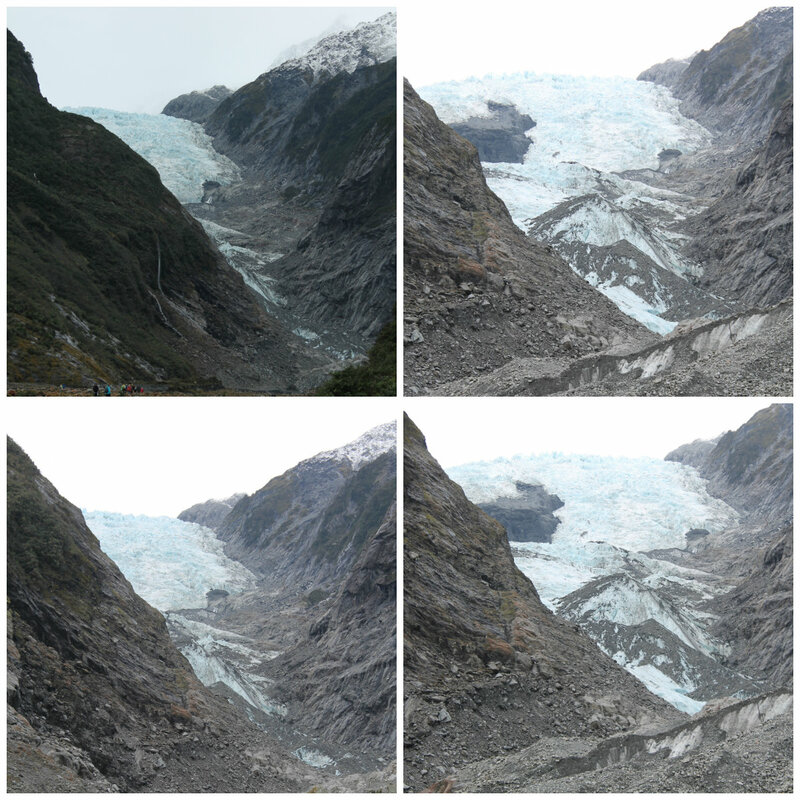 After visiting Franz Josef I see why it is one of most out of the ordinary places in the world. My Stray Bus journey on New Zealand’s south island continues to take me by surprise. Each stop gets better and better. This entry was posted in New Zealand, Oceania, travel and tagged Franz Josef, Franz Josef Glacier, Franz Josef Glacier Valley Walk, Glacier Country, Kiwis, New Zealand, Okarito Forest, Rowi, south island, Stray, Stray Bus, Stray New Zealand, Stray NZ, Stray Travel, Travel, travel photography, Turquoise Compass, West Coast Wild Life Center, Wetlands Tai Poutini National Park by Turquoise Compass. Bookmark the permalink. This is fantastic – totally ‘otherworldly’. The best yet from your tour of New Zealand. Wonderful pics! Thank you so much! You are really too kind. It honestly just kept getting better and better on my tour. 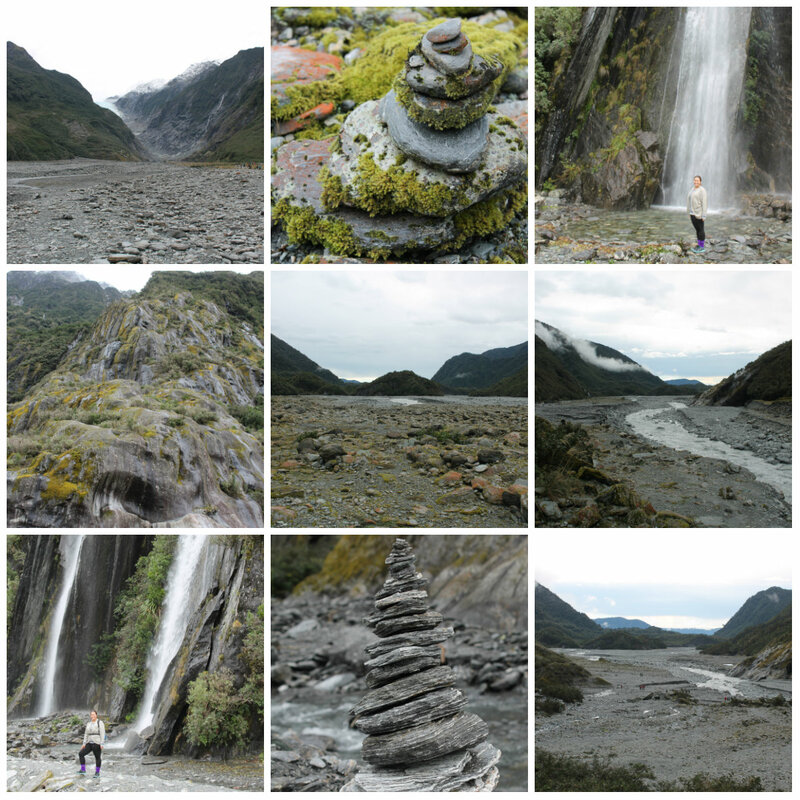 What makes this your favorite post of all of my New Zealand posts? Looks like you visited different planet….great!!! Thank you for your comment. Yeah I know. New Zealand really has a variety of different landscapes. Middle earth lived up to its reputation. Yeah, I remember that post. 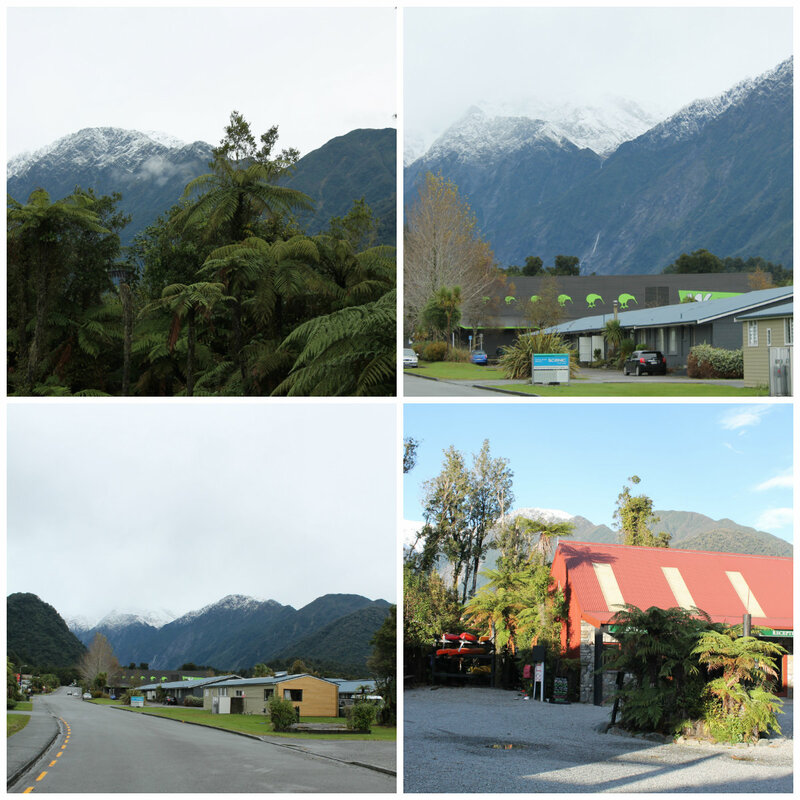 Had you visited Greymouth too on the way to Franz Josef, or just stopped in/drove through? We stayed one night in that sleepy town. Leaving Greymouth to arrive in Franz Josef made the glacier city heaven and well worth the wait. Now we both can say Franz Josef has a special place in our hearts. You are bang on about Greymouth. Well you will be happy to know that there is now a bank machine (take out cash only service) in Franz Josef! They are moving up! I know, it’s spectacular. It’s almost as if it’s a place from a movie. Too perfect to be true and with so many elements. Do you have plans (or a goal) to see New Zealand at some point? There are so many more places I want to see. It’s exciting dreaming about visiting those destinations. I know what you mean Allane, life takes us in many different directions.